Although a shrimp boil is at the top of his best-loved Southern food list, the other day it was hush puppies that were calling Oli’s name. It isn’t a Southern barbecue or fish fry without these little golden orbs of fried cornmeal batter with a crunchy outside and a moist, heavenly corn bread interior. They’re on the menu at seafood restaurants everywhere around here. Hands down we think the best hush puppies are served at a seafood restaurant down on the Chesapeake Bay. But this poor guy is in Sweden and is craving a taste of the South. So he simply went into his kitchen, made his own and to his delight, glorious hush puppies were born in Gothenburg, Sweden. There are a few legends about the origins of hush puppies. One is that shortly after the war between the states, Southern cooks would quiet barking dogs at fish frys by tossing them scraps of batter and call out “hush, puppies!” Another goes that corn fritters were a staple on hunting trips. To keep the hungry, yapping hunting dogs quiet, they were given the fritters. Get it? “Hush puppies.” Another goes that fishermen would toss them to barking dogs, so they wouldn’t scare away the fish. Whatever their origin, these divine, slightly sweet, slightly savory morsels of fluffy cornbread encased in a crunchy shell are simply irresistible comfort food y’all. a. Make sure you use a large stock pot or Dutch oven. The oil should come up to just shy of half way in the pot. When the oil is heated to frying temperature it expands a little. b. Don’t fry anything until the oil has reached 350F. When you fry in batches, make sure the oil temperature comes up to 350F between batches. Each batch will have cooled the oil. 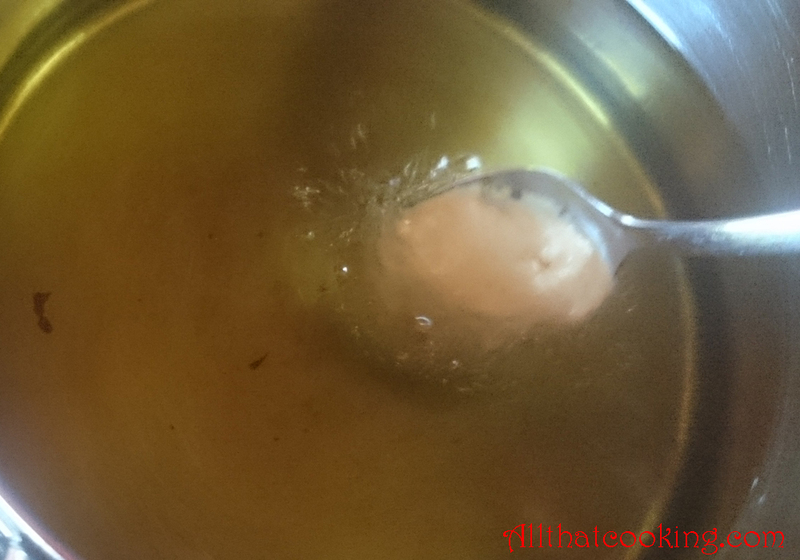 The more oil in the pot, the more stable the temperature. c. Make sure that not even a drop of water comes into the cooking oil. Keep all water a safe distance from the pot. d. Never leave the pot when deep-frying. Your kitchen can go up in a blaze in seconds. 1. 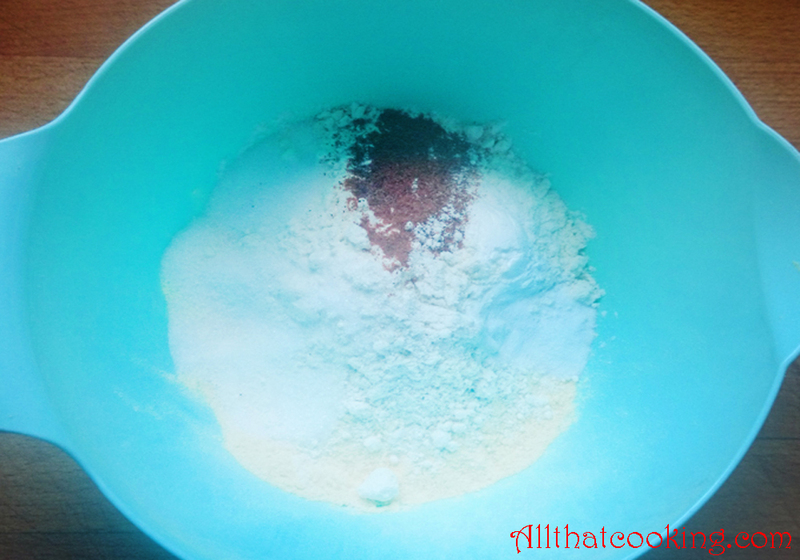 Combine cornmeal, flour, sugar, salt,baking powder, baking soda and cayenne in a large bowl. Mix well. 2. 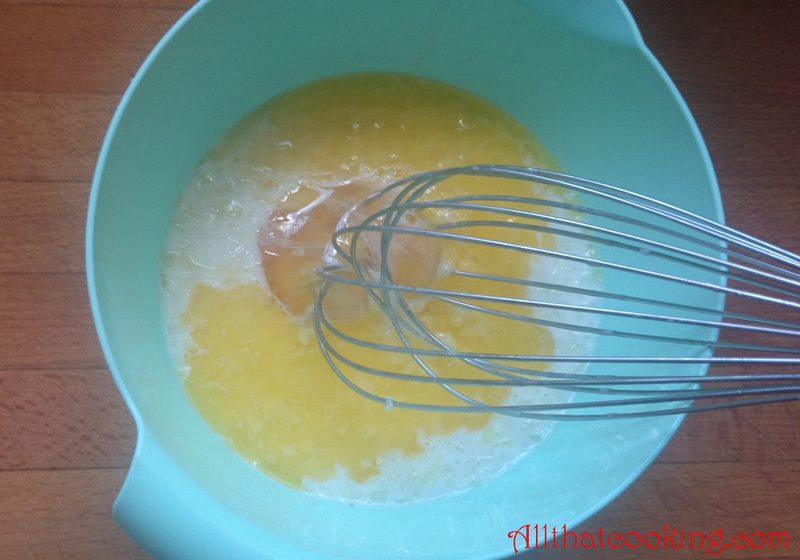 In another bowl whisk together egg, buttermilk, butter and onion. 3. 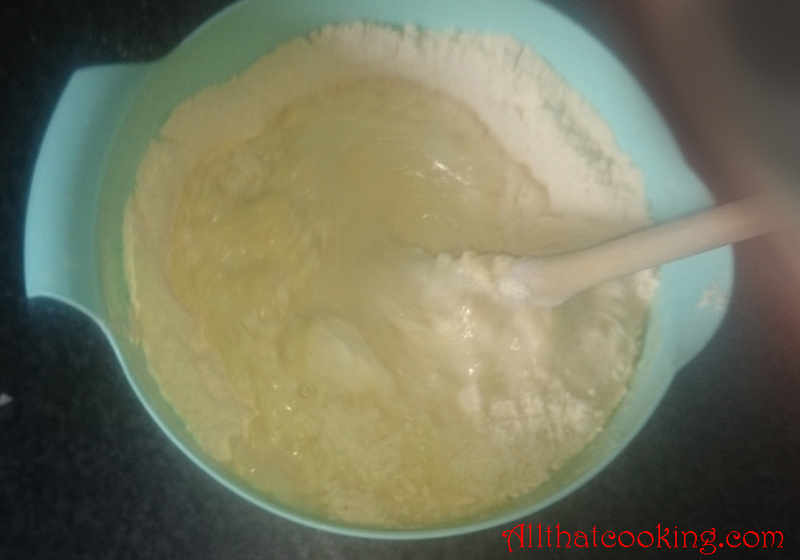 Make a well in the center of the flour mixture and pour in the milk mixture. 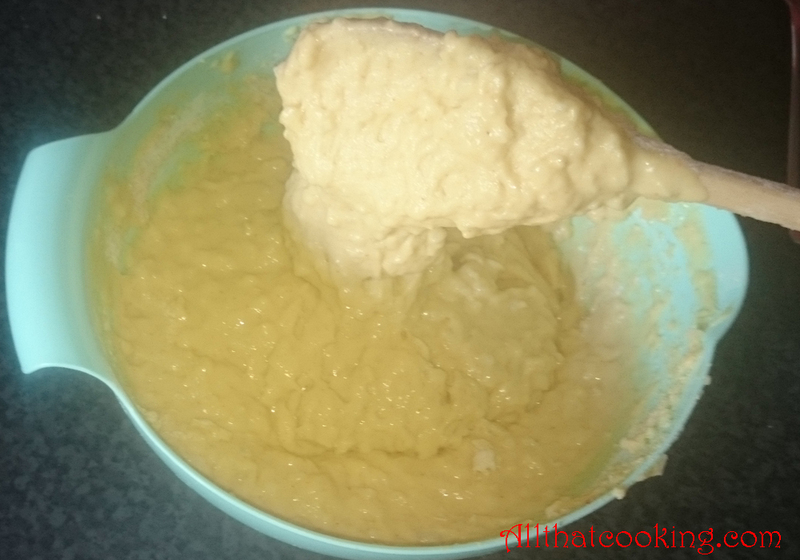 Use a spatula to gradually work the flour mixture into the liquid. 4. The texture should be thick but slightly runny. 5. 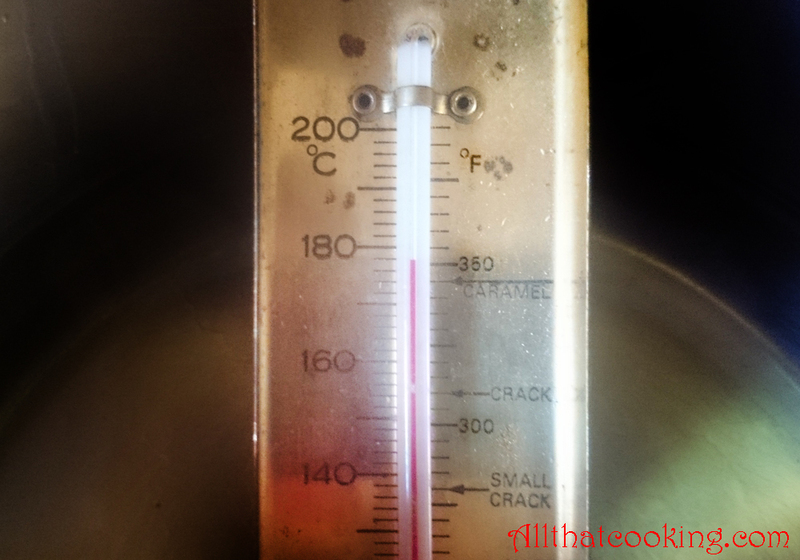 Clip a candy/oil thermometer to the side of the pot. Heat oil to 350F. 6. Dip a tablespoon into the hot oil, then scoop a spoonful of batter. 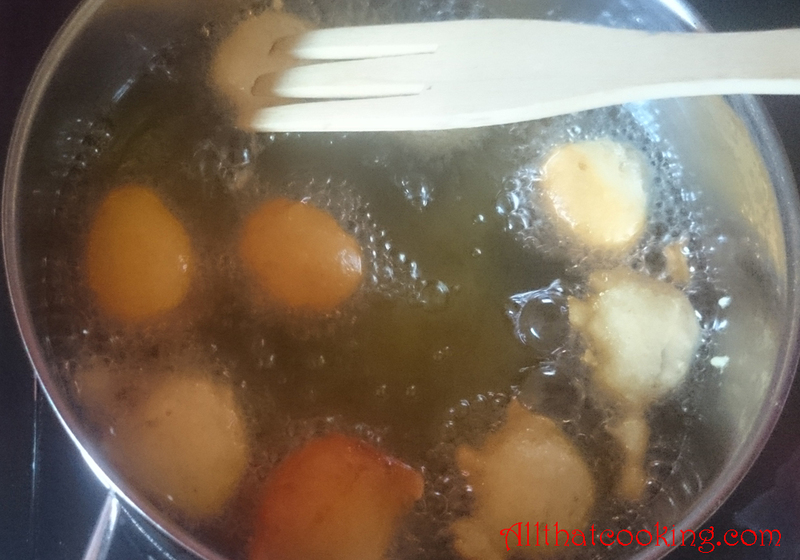 Drop about 6 tablespoon-sized balls of better into the oil. (After a few dips into the batter, you will need to clean off the spoon with a paper towel.) Don’t crowd the pot. 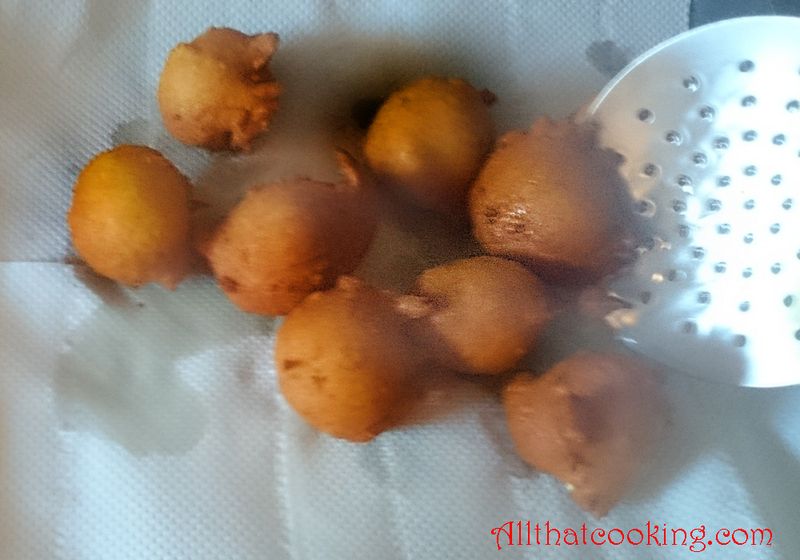 Drop about 6 tablespoon-sized balls of batter into the oil. 7. Fry until each hush puppy is golden brown. Use a spatula or spoon to turn them so that they fry evenly. Remove the hush puppies from the oil with a slotted spoon and place them on paper towels to drain. When the oil comes up to 350F again, you are ready to make the next batch. Gallery | This entry was posted in Appetizers, Sides and tagged American Southern Classic, corn bread, hush puppies. Bookmark the permalink. They look so beautifully golden brown and crisp. Must be very yum too.